Woollyhugs > Latest.. > Ongoing Projects > Angel Hugs for Bereaved families. Our Angel Hug project began with a request from the Royal Brompton hospital in London, to make blankets for babies who very sadly did not survive and to help comfort the families. At an intensely bleak and dark time there is still something very positive that we can do for the baby and their family. Our blankets are always handmade with love and compassion and so are perfect. We can help care for the whole family at this time by making the baby comfortable and snuggled up whilst sending love and a hug to the parents. We send to Glasgow maternity hospitals, offer Angel Hugs to all bereaved families now, and can help support SANDS. We know that we have many crafters and donors who have first hand experience of such devastating loss. We understand that this is a very difficult request, but if you can join with us, and are able to help, then we would love to have you on board. From speaking to some of you, we know how incredibly important blankets like these are to those who receive them. Angel Hugs is an ongoing project. Here’s how to join in. Many thanks for your help. 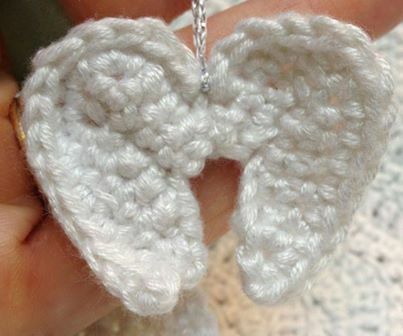 Angel Hugs are to be all white and can be knitted or crocheted in any wool suitable for a baby blanket, so 4ply, DK, just as long as it feels soft and cosy. The design is up to you, but it should be kept simple. Angel Hugs can also be sewn using pure cotton and good quality fleece, again white please and in a simple design. Minimum size : 24 inches square, going up to a maximum of approx. 30 inches square. At the bottom of this page is a copy of the SANDS knitted pattern if this helps you. If making a whole Angel Hug feels too much, but you would still like to support this, we would be pleased to accept simple knitted and crocheted 6 inch squares, which we will hook together. If choosing this option, please use Stylecraft Special DK in white. If you would like to take part in this project but feel you can’t due to the costs involved, please message us and we’ll try to help you with materials. We would be very grateful for support from anyone who would like to donate funds to help with this. You can either donate via Paypal admin@woollyhugs.com but please add a message so we know who to thank and which project it is for. If you don’t have Paypal, please message us as we have other ways that you can donate. We are so grateful to all our donors, without you, these projects could not function. It is a very sad request we are making, and yet there is something very positive here too, and we know the Blanketeers have big hearts. Sometimes thank you doesn’t seem enough, but thank you once again. Please note this is only a suggestion. If you are intending to make a blanket with the lace edging, then please knit the basic blanket no larger than a 20 inch square. Easy Baby Blanket with Lace Option This lace border makes the easy blanket very special but we are happy for you to knit to the basic pattern. (You can use any white wool and needles to suit, to give a soft drape). The basic pattern knit to approx a 24” square. It will always come square. BASIC BLANKET 200gm of Double Knit Wool and 4mm needles. Cast on 1 stitch Next row:- Make the one stitch into two stitches. Next row:- Knit 1, into the next stitch make another, 3 stitches on needle. Continue to knit, ALWAYS knit the first stitch and into the 2 nd stitch make another. Only increase this way at the BEGINNING of a row. Continue until you have almost come to the end of the 100gm ball. Knit 1 row plain. Next row:- Knit 1, Knit 2 together, Knit to end of row. Continue this way, always knit the 1 st stitch then decrease into the next stitch by knitting 2 together until 1 stitch remains. Rows 2, 3, and 6. Slip 1 Knit to the end. Continue in pattern until it is long enough to fit all around. Sew o nto the blanket. Thank you so much.